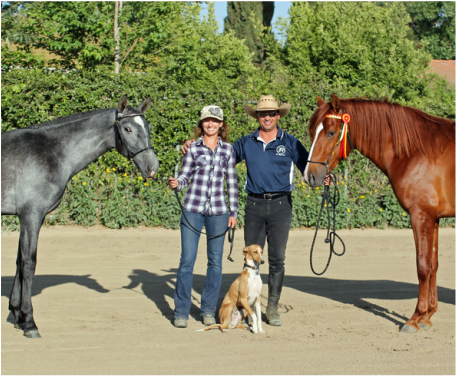 Here at Peet Equestrian, our goal is to help you on your path to equine success! You know the saying "Two heads are better than one"? Let our 23 years of horsemanship knowledge be the extra head you are looking for. We can accomplish this through any means. Need a trainer? Let us turn your horse into the mount you have always wanted. Want to compete at shows? Let us get you and your horse ready to be in the ring. Need to get your horse sold? We can help to advertise and promote so people see your horse. Maybe you are looking to purchase a horse. Let us help in your search for the perfect equine partner. Or maybe you simply have a question... we are always willing to share our advice. So, feel free to look through our different web pages. They are sure to help you learn about who we are and what being a part of this industry is all about for us.